ALTRUISTICALLY YOURS, LLC can assess your organization’s needs and current engagement of volunteers, and develop an action plan for improvement of your volunteer invitation, orientation, management, and recognition strategies. Many nonprofit organizations are dying on a daily basis because they are often either unaware of, or under-equipped for all that goes into creating and running an effective volunteer program. Hence, they struggle with finding the right volunteers, determining an appropriate screening process, managing volunteer assignments and retaining the vital volunteers they have. Altruistically Yours, LLC provides consultation and support for every component of your volunteer program and can identify ways to capitalize on what your current program does well and develop customized opportunities to make key improvements. With clearly articulated organizational goals and strategic priorities. 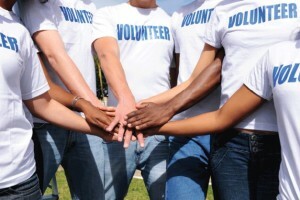 With a volunteer program that utilizes at least 500 active volunteers and hosts at least four major events a year. With at least one staff member whose job responsibility includes oversight of the volunteer program. With an Executive Director, Human Resource Manager, Volunteer Coordinator, Volunteer Manager, Volunteer Director, or Director of Volunteer Services who is weary of wearing six hats/overwhelmed, as opposed to simply supervising, when volunteer events occur. That is overwhelmed by all the steps between you and a well-designed system for recruiting, screening, training and managing volunteers. That may have started small but now that your agency and volunteer program have grown, you need help evaluating and improving it. Whose Volunteer Program needs an overhaul.